The Republican candidate for North Carolina’s 9th Congressional District may have cause for concern. In a new poll, his Democratic challenger leads him by seven points. 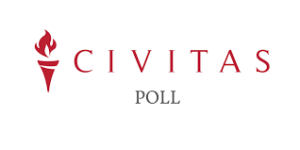 Civitas Institute, a conservative public policy organization, released a poll showing Dan McCready, the Democrat candidate, leads Republican candidate Mark Harris. The poll surveyed 543 likely voters from the N.C. 9th Congressional District between July 5 and July 8. The margin of error is plus or minus 4.6 percent. Of all likely voters, 43 percent said they would vote for McCready, compared to 36 percent who would vote for Harris. Only 3 percent said they would vote for Jeff Scott, the Libertarian candidate. “This race has all the indications of being a nail-biter into November, but Republicans should be concerned with a negative seven-point spread in a district that has an R+7 rating,” Civitas President Donald Bryson said. “With women constituting 53 percent of the poll and breaking towards McCready by a 16-point margin, it seems that the story may have had some effect,” Bryson said. A quarter of respondents to the poll picked jobs or the economy as the most important national issue when considering their vote. Health care and the presidency received 18 percent each; 13 percent of likely voters picked immigration. More than half of the respondents — 60 percent — said they would vote for the voter ID amendment, which would require people to present photo identification before voting at the polls. Thirty-four percent said they would not vote for the amendment, and 6 percent aren’t sure.